Low German speaking (LGS) Mennonites are a priority population for WDGPH. Many LGS families continue to struggle with poverty, food insecurity, access to health care, language barriers, housing issues, and isolation. WDGPH offers several programs to this community including a Women’s Group/ School Readiness Program for Preschool Children, Oral Health Clinics and Immunizations. The Newcomer Program in Drayton at the Community Mennonite Fellowship Church has been ongoing since 1997. Begun by a LGS public health nurse (PHN) as a women’s group for LGS immigrants, it has grown to a network of six different agencies providing services and funding to the weekly program. WDGPH has taken the lead and become the driving force behind the Newcomer Program providing services from across the Agency in this setting. Family Health Division spearheads the effort through assigning a PHN to the Newcomer Program who coordinates Agency efforts across programs including Dental, Vaccine Preventable Disease (VPD), Nutrition and Speech and Language staff coming at different times of the year to offer their services. The PHN also supports an Advisory Committee to the Newcomer Program which consists of stakeholder and community partners and ensures resources and strategies to strengthen the LGS community are shared to enhance the objectives of the program. See Appendix A for the Newcomer Program Advisory Committee Terms of Reference. Literacy and basic skills including Adult ESL. Language assessments are completed and women are assigned to groups appropriate to their skill level. Skills Upgrading Program for the higher literacy group of women, which encompasses goal setting, computer learning, spelling and mathematics. These programs are provincially funded through Employment Ontario and the Ministry of Advanced Education and Skills Development. The objectives of the Newcomer Program include increasing literacy levels and English language proficiency in the LGS population. Providing opportunities for women to network and increase their knowledge of healthy lifestyles in a supportive learning environment is key to enabling this population to attain and sustain optimal health and development. See Appendix B for the Newcomer Program Objectives. WDGPH has assigned a PHN from Family Health two days per week (0.4 FTE) to coordinate the Newcomer Program. Initially the FTE allocated to this program was 0.6 FTE which has been reduced as a reflection of overall staff pressures as well as capacity building with community partners who have taken on more responsibilities for the program. The PHN is involved in scheduling, liaison with community partners, providing group and individual health teaching, assessments and referrals as well as providing program oversight to ensure the Newcomer Program runs smoothly and continues to meet program objectives (see Appendix B). The intensity and variety of needs as well as the unique approaches required to connect with vulnerable women and children in this community necessitate a significant investment of time by WDGPH staff. There is certainly the need for expanded targeted services. The Newcomer Program runs each Wednesday at Community Mennonite Fellowship Church in Drayton. Children are engaged in programming that provides action songs and stories to enhance learning and language skills while parents attend language classes. The Newcomer Program provides a varied health teaching/learning program. Monthly health topics have included injury prevention, physical activity, immunization/infection prevention, substance abuse awareness/prevention including tobacco and healthy relationships. This fall, 24 LGS women attended and achieved certification in CPR training. In the fall of 2016, the Newcomer Program saw an increase in women and children attending with an average weekly attendance of 21 mothers and 28 children. Seven new women and 13 new children began attending the program in 2016. 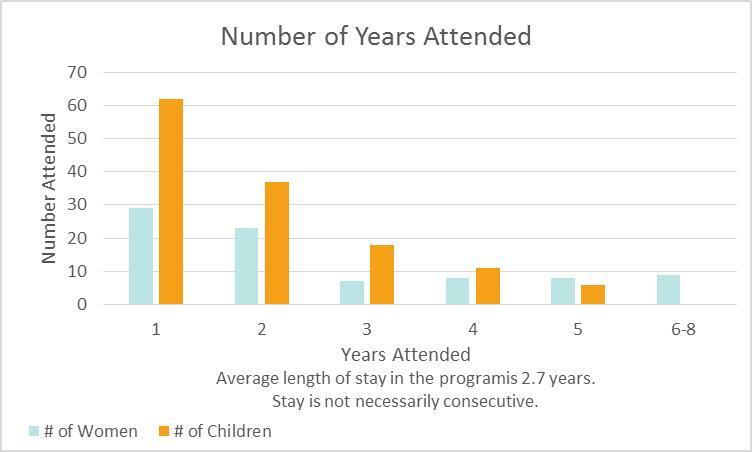 The graphs below detail attendance at the program for both women and children from 2003-2016. Although it is often difficult to ascertain numbers of LGS families residing in the North Wellington area, fluctuations in attendance numbers can be due to migration trends, employment opportunities, ability to seek supports, i.e. translation services, transportation, language barrier, knowledge/ trust of community resources and courage and consent by family/ church to access services from a government-run resource. Attendees typically come to the Newcomer Program through family and friend referrals. 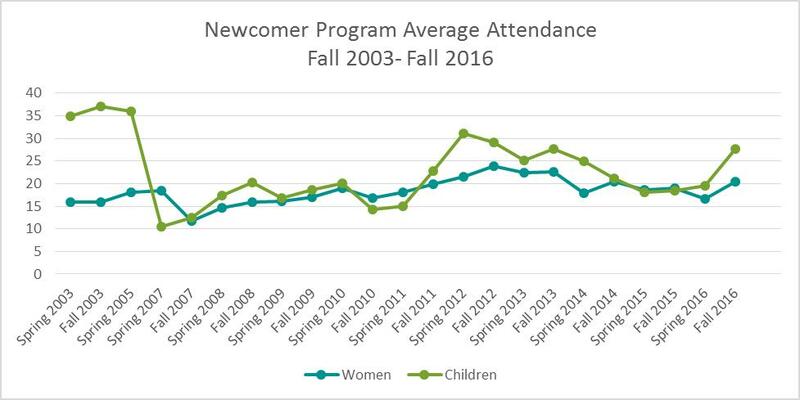 Graph 1 below shows the Newcomer Program average attendance for women and children from 2003 until 2016. Between 2007 and 2015, statistics show 85 women and 136 children accessed the Newcomer Program. Women reported that health teaching and community resources were shared with their family and friends which influenced access to services and extended health information to the LGS community. Additionally, Centre Peel Public School continually notes the difference in the health, oral health and ability to separate from family of those children who have attended the Newcomer Program compared to those children who have not. 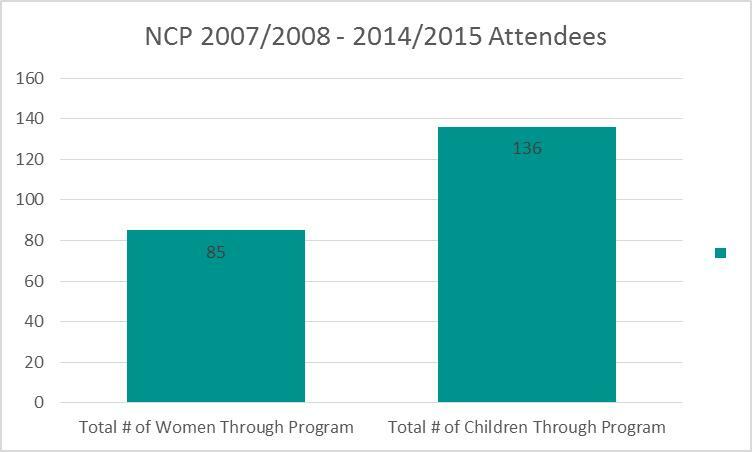 Graph 3 indicates the total number of women and children who have accessed the Newcomer Program between 2007 and 2015. Within the LGS population, regular dental check-ups and preventive care are not the norm. The Mennonite Central Committee’s Opening Doors Report shared that most LGS families only access dental care when their child is in pain. One of the major roles of Oral Health staff has been to assist and support LGS families in accessing care.6 Many face financial, language and transportation barriers and Oral Health staff have played an important role in addressing these issues. Ten years ago, WDGPH dental hygienists were sending home paperwork to many children who were identified with urgent dental needs but many LGS families did not respond. What staff learned was that it took time to build relationships with families to discover that crucial pieces to the puzzle were missing. Many parents were illiterate and would not sign a form that they did not understand. The cultural norm is for fathers to be present at, and consent to, any “government sponsored” activity but working fathers could not afford to take time off without pay to take their children to the dentist. Providing interpretation and transportation for these families addressed key barriers that prevented these children from receiving the treatment they desperately needed. Many of these families have now developed confidence and comfort with making dental appointments and accessing dental care on their own. Through successful relationship building with this community, LGS families are now seeking preventive dental care and early dental interventions. In late 2007, it was noted that the LGS community was not attending the free WDGPH dental clinics for children despite the offer of free transportation to the WDGPH Guelph location. In 2007, approximately 8-12 families had accessed the dental clinic in Guelph. The Oral Health team and PHN assigned to the Newcomer Program worked collaboratively to arrange a portable dental clinic in Drayton where the Newcomer Program was located. Since the advent of the first portable clinic in Drayton, the numbers of children accessing the clinics has steadily increased and additional sites in Moorefield, Palmerston and Arthur were added. In 2016, 255 LGS children accessed the portable dental clinics in North Wellington. Currently there are a number of LGS initiatives which include portable outreach clinics to the Moorefield, Drayton, Palmerston and Arthur areas as well as regular clinic services, school screenings and fluoride varnish. In 2016, our Mount Forest and Fergus permanent preventive clinics have provided services to 26 LGS children. Although some families come to WDGPH permanent clinics, the majority of LGS children in our area are seen in portable clinics. Without our portable clinics very few LGS children would access preventive care. Advertising has been unsuccessful at generating new LGS clients for the portable clinics. The growth of the portable clinics has resulted from building trust and relationships within the LGS community. Existing LGS families that are supported by the Oral Health team and other community resources refer their friends and families. In 2007, WDGPH began a Fluoride Varnish Program available to all students at Centre Peel Public School. This was in response to extraordinarily high levels tooth decay and urgent dental needs noted in the predominantly LGS Mennonite student population. As highlighted in previous reports to the Board of Health (BH.01.FEB0415.R03 Fluoride Varnish Initiative: Preventative Oral Health Strategy and BH.01.NOV0216.R18 Fluoride Varnish Program in High-Risk Elementary Schools), the number of children at Centre Peel Public School identified with urgent dental needs has fallen from a high of 36% in 2007 to a low of 4.5% in 2016. In 2016, all children at Centre Peel Public School will once again be offered the opportunity to participate in the program. As of December 4, 2016, 67% of LGS families have consented to this service at Centre Peel Public School. Over the last number of years, PHNs from VPD team have collaborated with the Family Health PHN to offer vaccinations to families at the Newcomer Program. In 2012, the VPD team held one family clinic at the Newcomer Program and provided immunizations to 22 children from five different families. This effort required three PHNs, translation services and transportation. From 2013 – 2015, the VPD team partnered with the Oral Health team and offered services during the dental outreach screening clinics hosted in Drayton and Moorefield. While working with LGS families, Dental team members reminded families to update immunization. If families had their yellow Ontario immunization card or Mexican immunization card, copies would be made and forwarded to VPD team members who would then review and send on to VPD records for updating. Approximately 30 records were reviewed during this two-year period. Beginning in September 2015, a VPD PHN spent two days at Centre Peel Public School and reviewed 80 immunization records. Records were subsequently updated in Panorama and Mexican immunization records were transcribed to the yellow Ontario immunization card. A VPD PHN met face-to-face with six parents from Centre Peel Public School and discussed vaccines, including flu vaccine. All parents were sent a letter updating them on their children’s immunization status. In 2016, this work continued as the VPD PHN worked closely with the principal of Centre Peel Public School regarding school assessments. In 2016, it was estimated 22 Grade 2 students were overdue for their scheduled vaccines. The school principal was instrumental in reaching parents for the PHN to have confidential conversations about their child’s immunizations. By March, 2016, all students in Grade 2 were up to date, except for three who had moved out of the County. Most recently, in December 2016, VPD PHNs offered a clinic in Fergus for two families with eight children. One family cancelled as they were able to get connected with a primary care provider. The PHN was able to provide immunizations to three children in the other family. Efforts continue with the PHN at the Newcomer Program to seek a primary care provider for every LGS family. Ongoing VPD Projects with LGS Mennonites A VPD PHN visits the Newcomer Program group two times per year. This has been an ongoing commitment since the fall of 2014. Visits are made in the fall and early winter. The group was visited by a VPD PHN in September 2016 and is scheduled to visit again in January 2017. While visiting the group, the VPD PHN shares information on the importance of vaccinations, discusses the Grade 7 and Grade 8 vaccinations and school assessments. Recent topics of discussion with the LGS mothers have been about chicken pox vaccine and HPV vaccine. During every visit to the group, the VPD PHN will also review the immunization records of children and may transcribe between four-eight records per visit. LGS families who have lived in Ontario for more than five years appear to be more likely to decline immunizations of late, sometimes citing vaccine safety concerns unrelated to vaccination (i.e. autism). Barriers for LGS families to receive immunizations in Ontario can include transportation, translation and appointment timing. Typically, a mother can only make an appointment for one child per day at a physician’s office, instead of bringing all six children to the same appointment to get updated immunizations. Interpretation services for the LGS Mennonite population is an ongoing issue. With only one formally trained LGS interpreter in our area, the demand for her services is overwhelming. The current LGS interpreter assists in the Newcomer Program with language interpretation and culture translation, provides interpretation support to LGS families accessing our oral health services including local dentists and is often needed in our WDGPH immunization clinics to interpret notices regarding the Immunization of School Pupil’s Act. In addition to this work, the LGS interpreter is often called upon to accompany LGS families to medical and legal appointments on a paid and unpaid basis. A LGS woman attended the hospital emergency room for her sick baby. The baby was assessed and required an airlift to McMaster Children’s Hospital for care. When the helicopter transport team arrived the child’s LGS mother was told there was a student riding along and mother was not allowed to go with her baby as there was no room. The grief stricken mother had to make travel arrangements on her own to get herself to Hamilton. Although challenging for any parent, this situation would be particularly distressing to a LGS family who would typically not have access to transportation, would more than likely to be poor and for whom English would not be their first language. This unfortunate event required advocacy of which none was made available to her. This lack of cultural understanding and advocacy created a barrier for this mother and family. A pregnant LGS woman had a bladder infection. She visited the hospital emergency room and was given a prescription and went to a pharmacy to fill it. The pharmacist refused to fill the prescription because the drug was actually not safe for pregnant Services and Supports for Low German Speaking Families BH.01.JAN0417.R01 Page 13 of 19 women, however, the LGS woman did not understand what was happening and walked away from the pharmacist not understanding what she was to do. Our Newcomer Program PHN intervened, spoke with the pharmacist, relayed the appropriate information to the prospective mother and made arrangements for the pharmacist to call the physician and change the prescription to an appropriate prescription. Without advocacy, this mother and baby’s health could have been compromised. LGS women strive for self-advocacy and to advocate for others in their community. The Newcomer Program supports them with this learning goal. The upstream approach taken with this community has been integral to improving the overall health outcomes of the LGS children and their parents. The Newcomer Program provides an opportunity for early language intervention, health teaching, oral health screening and vaccine information to be distributed with this priority population. Maintaining our presence and continuing to build on our relationships will help facilitate greater understanding of shared health goals within this population and help more LGS families live a healthier lifestyle. There are many needs and challenges faced by this culturally unique population which call for an equally unique response and approach from health and social service providers. WDGPH has played a critical leadership role in providing services and supports to this priority population and to community partners working with them. Over the years working with this community, we have learned that trust and respect are key. LGS communities want to remain autonomous and have the freedom to choose what is best for their families. We have learned we must prove our ability to offer assistance in a consistently respectful way in order to gain this trust and build our relationships. Relationships are very important to the LGS people and are the foundation of all our work. Through our long standing and respectful relationships at the Newcomer Program, we have increased awareness of and participation in the LGS community in a variety of health care issues including dental health, vaccinations, mental health and community services and resources for families. It is vital that WDGPH maintain our commitment to current programming and ensure staff consistency for these families to maintain trust with our organization. Capturing and sharing our knowledge about the LGS community at an organizational and community level is necessary to continue surveillance and to plan continued meaningful interventions. To enable individuals and families to achieve optimal preconception health, experience a healthy pregnancy, have the healthiest newborn(s) possible, and be prepared for parenthood; and to enable all children to attain and sustain optimal health and developmental potential. Immunizations administered at board of health-based clinics as required in accordance with the Immunization Management Protocol, 2016 (or as current) and the Infectious Diseases Protocol, 2016 (or as current). The board of health shall conduct epidemiological analysis of surveillance data, including monitoring of trends over time, emerging trends, and priority populations, in accordance with the Infectious Diseases Protocol, 2016 (or as current) and the Population Health Assessment and Surveillance Protocol, 2016 (or as current). Members of the LGS Mennonite community face a disproportionate health disadvantage. Many of the barriers faced by this group including language, transportation, cultural beliefs and practices impact access to and utilization of health and social services. WDGPH programs, such as the Newcomer Program, help to address those health inequities through targeted preventive interventions in the LGS population in a culturally acceptable way. Bennett, Jennifer. Low German Speaking Mennonites from Mexico: A Review of the Cultural Impact on Health in Wellington County (2010). Wellington-Dufferin-Guelph Public Health. Armstrong, D. & Colemen, B. (March 2001) Healthcare Needs of Mennonite Women living in Elgin County, Elgin St Thomas Health Unit: St Thomas, ON. Wellington-Dufferin-Guelph Board of Health. BOH Report B.H.01.03.02.0611 Low German Speaking Mennonite Families 2011 April 6. The Newcomer Program Summary Report 2015. Arthur, Moorefield, Palmerston and Drayton Portable Clinic Summaries. 2016. Wellington-Dufferin-Guelph Public Health. BOH Report BH.01.NOV0216.R18 Fluoride Varnish Program in High Risk Elementary Schools 2016 Nov 2. Waterloo Wellington Local Health Integration Network (2015). Focus Group Summary: Service Providers Working with Low-German Speaking Mennonites. Retrieved from: http://www.wwlhin.on.ca/en/goalsandachievements/summaryinput/mennonites…. The purpose of this committee is to provide a forum for program stakeholders, partners, and/or community representatives to explore opportunities to enhance the Drayton Newcomer Program. To ensure cultural sensitivity is experienced in all aspects of the Newcomer Program. To share information, knowledge, resources and strategies to strengthen the Newcomer Program. To review current program activities. To identify needs for further initiatives. To collaborate on strategies to address the unmet needs, identify concerns and trends. To provide a supportive network for program staff. Length of membership on the committee is to be determined by individual sponsoring agency. Decisions will be made by consensus. Meetings will be held at the Newcomer Program site. First meeting of the Newcomer Program year will be scheduled during the first quarter. Meetings will be convened two - three times annually or as scheduled by the Chair. Chair will be selected by the committee from one of the three primary contributors. It is suggested that the term of chair be two years. Functions of the chair include preparation and distribution of the agenda and minutes. To increase literacy levels and English language proficiency. To increase basic life skills and parenting skills. To reduce social isolation and provide opportunities for women to network with women of their own culture. To increase knowledge regarding health. To increase awareness of and ability to access community resources. To provide modeling of positive adult/child interaction. To provide the program in a supportive learning environment. To reduce language and cultural barriers to participation in this community. To ensure cultural sensitivity is incorporated into planning and implementation of all aspects of the program. To provide collaborative opportunities that promotes healthy lifestyles. Assessing infant and child developmental and provide referral to appropriate community resources. Offering school readiness programs for preschoolers. Providing the program in a supportive learning environment. To provide pre-employment and mentoring experience to adolescents working as child care workers.